While email remains one of the most cost-effective ways to communicate with your clients, there’s danger in solely relying on it to get your marketing messages across. Most industries send emails, and the frequency is giving consumers a severe case of email fatigue. Consider the following four reasons why it’s better to create a postcard or a newsletter to help your potential buyers avoid email overload. Few of your buyers are rushing to check their email because they know that most of the information they’ll find in their Inbox simply isn’t relevant to them. There’s a good chance a ‘once-in-a-lifetime’ sale is likely to be repeated again next week, so where’s the urgency? When you want to send out information that is actually important (e.g., a change in your phone number or your office has moved to a new address), you should use at multiple different avenues to really catch people’s attention. We have several neighborhood marketing postcard designs you can use to communicate important details to your farm. Holding a physical item in your hands is more difficult to discard than an email. With emails, it’s as easy as clicking on all unread messages and then moving them to the trash folder. But, sending out a postcard or a newsletter encourages buyers to scan information. Touch creates a tactile memory. Delivering your real estate marketing messages via something physical means they’re experiencing a different medium, which can cause them to be more open to what’s inside. Real estate newsletters and postcards allow a little more creativity than email does when it comes to making an impression on your clients. So, when you have a new agent join the team, you now have a chance to introduce them to your farm with a little bit of gusto. From fancy calligraphy to heavy stock paper; there are plenty of ways we can help you go the extra mile. Plus, people are much more willing to open a piece of mail that’s been hand-addressed to them than they are another impersonal email. 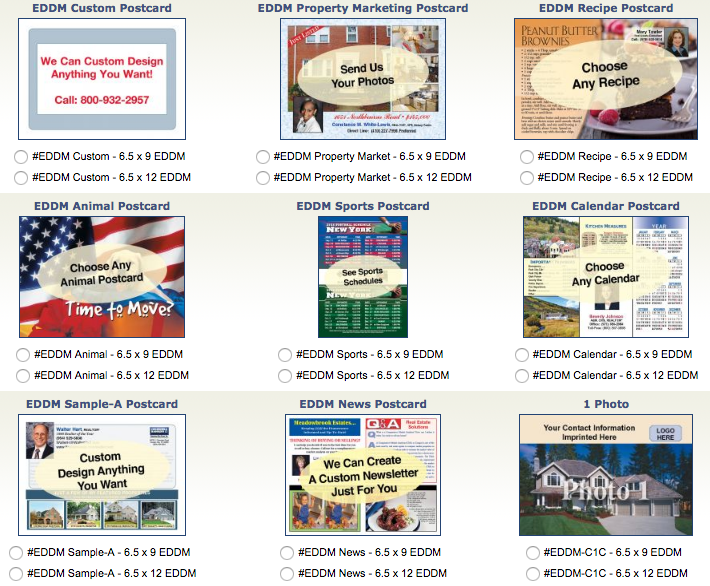 Postcards and newsletters are a good way to establish a rapport with clients. You can make them themed or tell a (somewhat) serialized story about how the market is doing. You can make them funny, brief, or picturesque. It’s these little extras that you do that can help you distinguish yourself from your competition so you can tempt more people to your side. 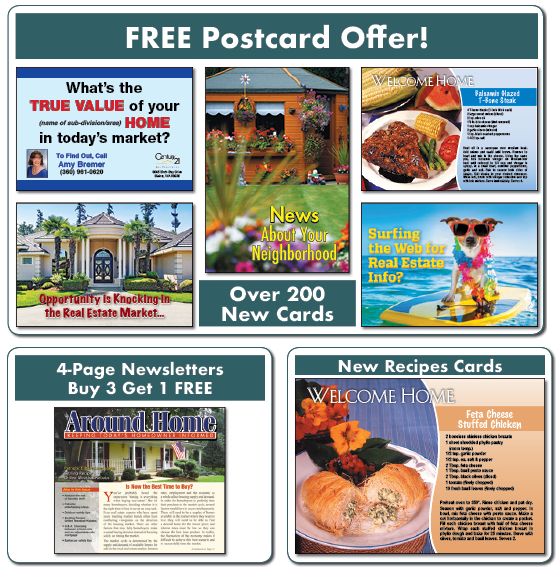 ReaMark can help you find the postcard and newsletter templates you need to ensure that buyers will remember you. Our postcards and newsletters can be seamlessly worked into your marketing campaign, so you can give yourself the best chance of sales success!